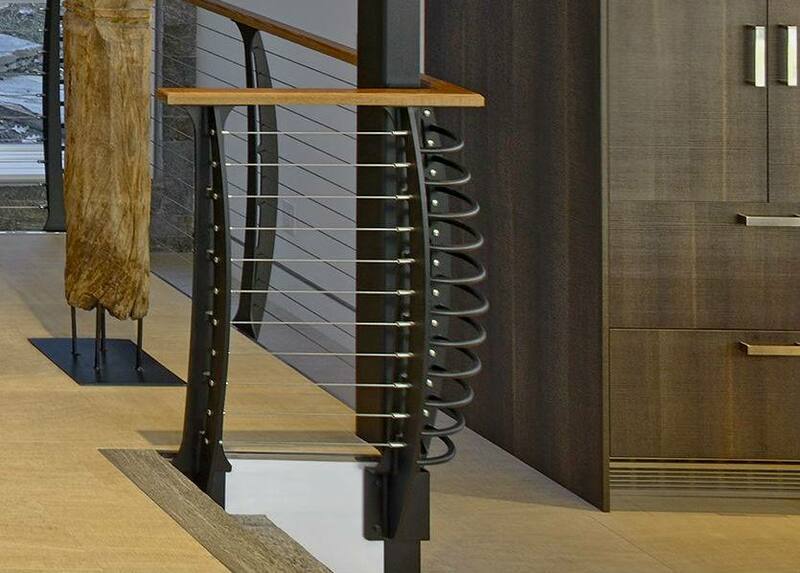 Material and Finish: Powder coated “raven black” steel posts with oak wood top rail. 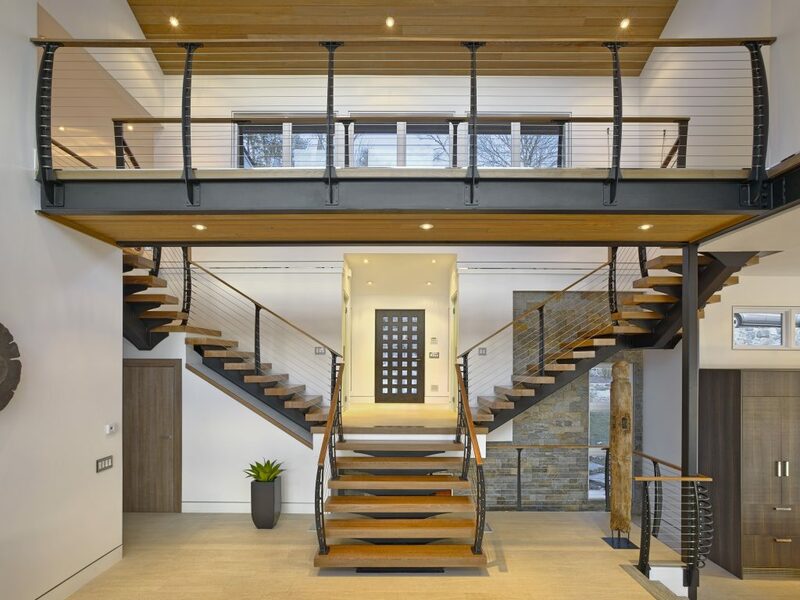 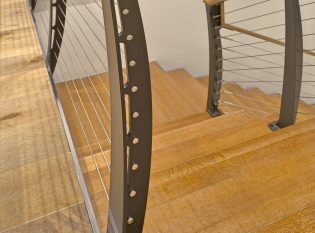 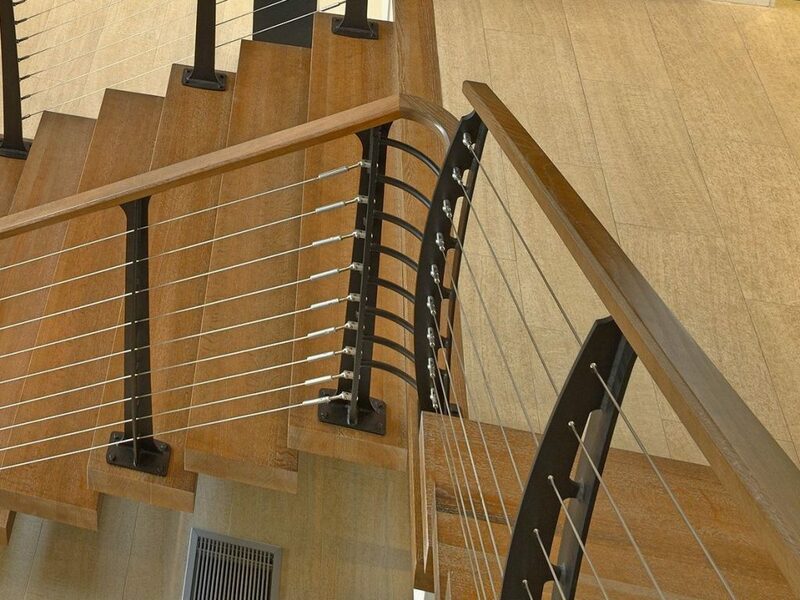 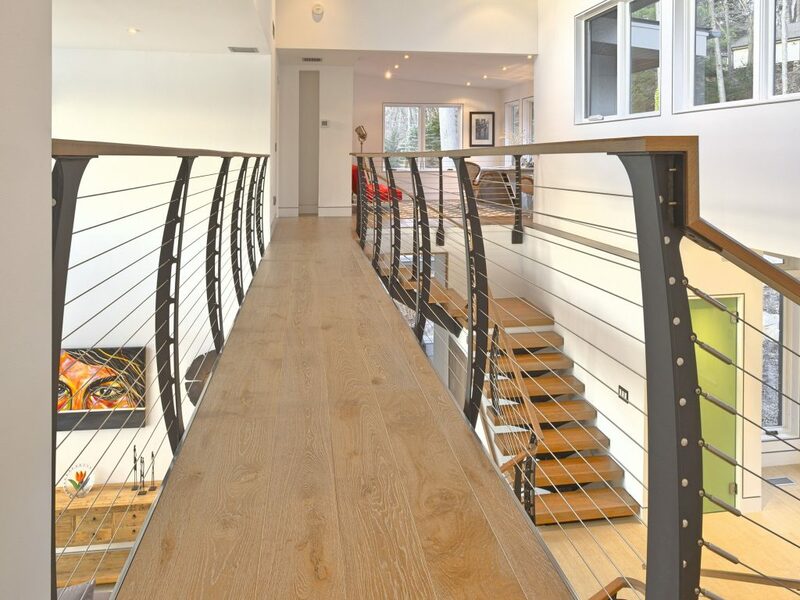 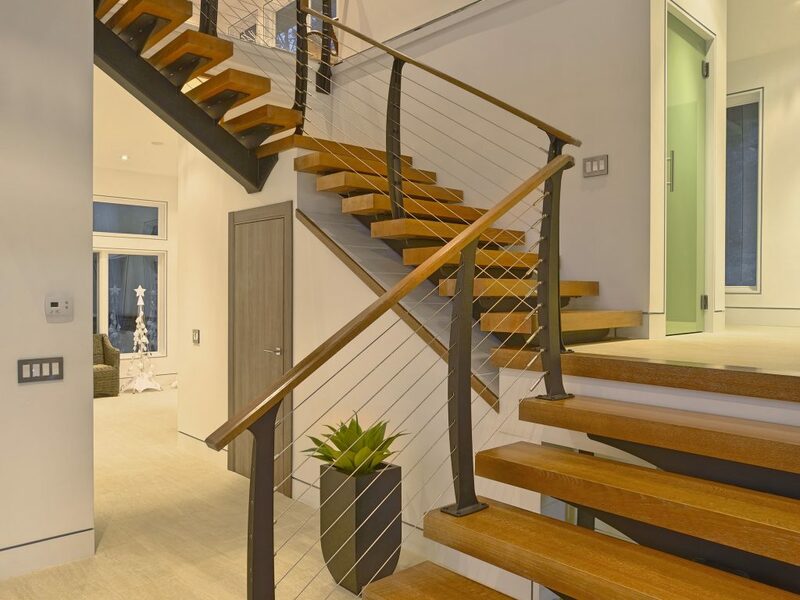 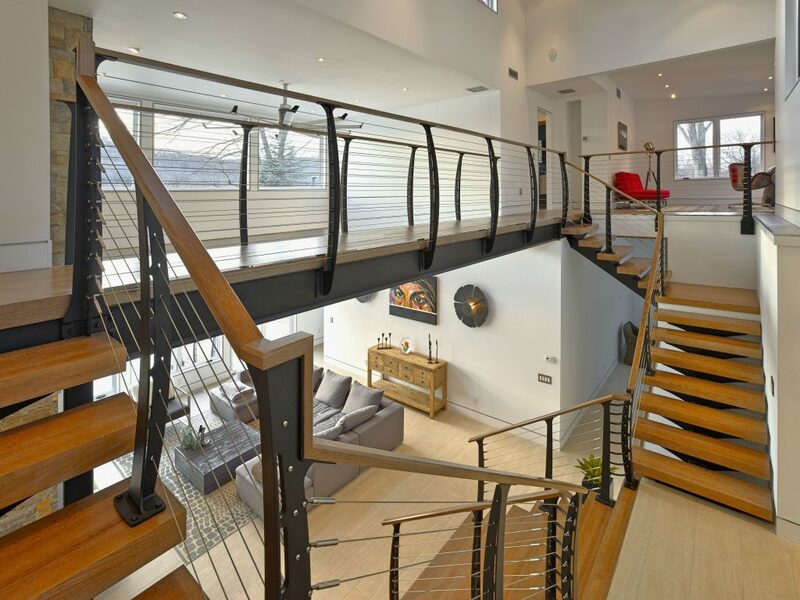 Description: Keuka Style cable railing and custom floating staircase. 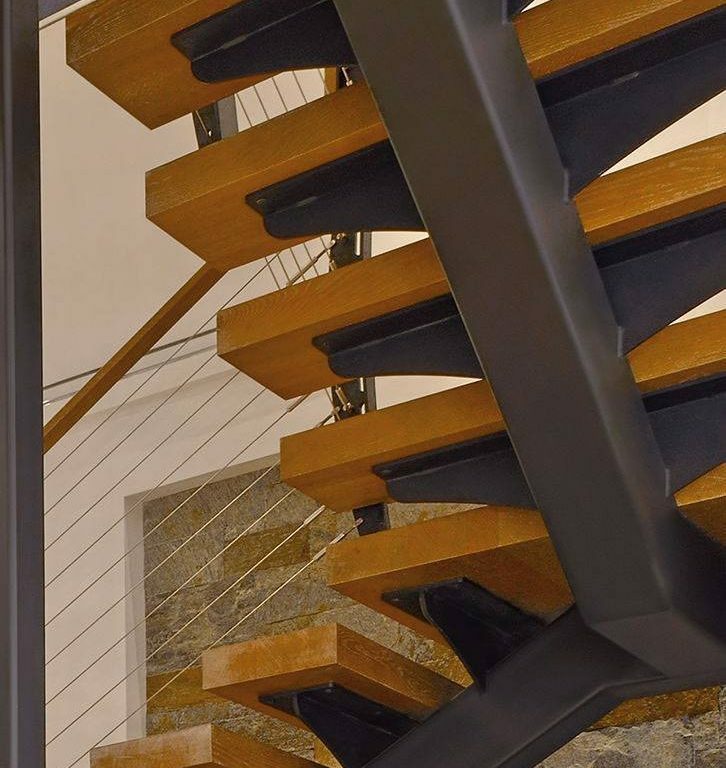 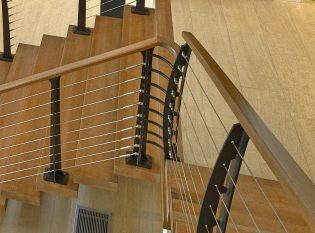 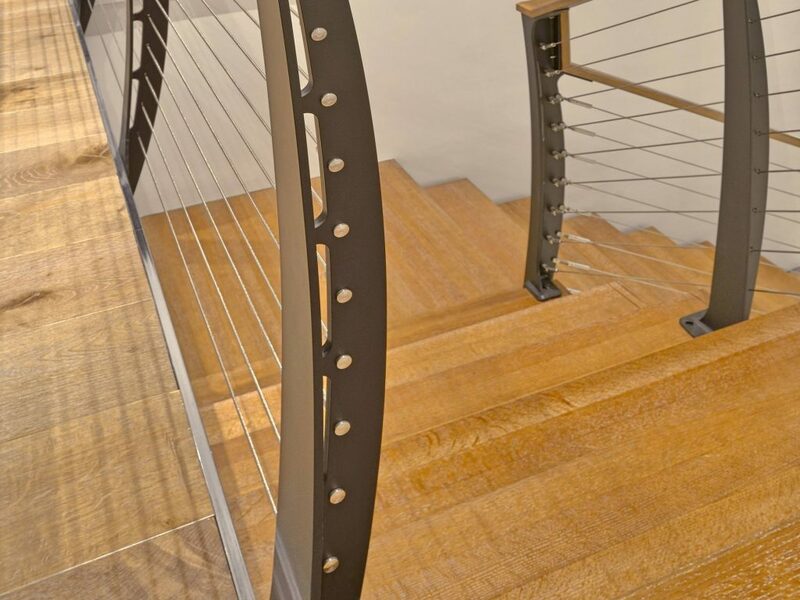 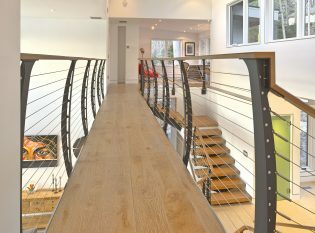 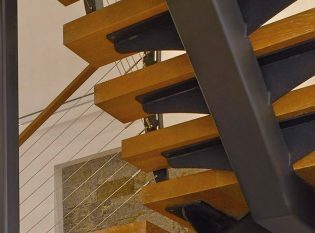 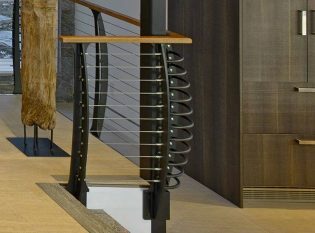 We built this unique mono stringer staircase and Keuka Style cable railing. 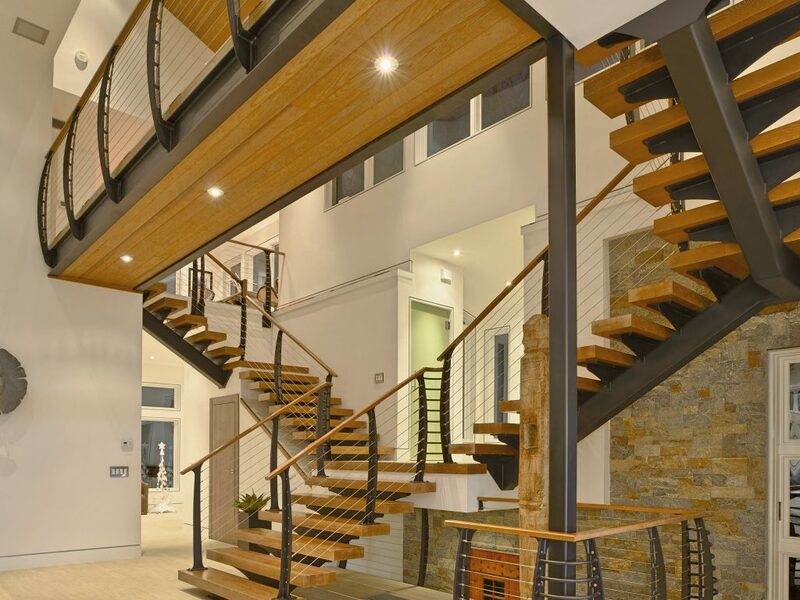 The thick treads and curved posts are an impressive statement for the grand entry.